Coffee is an important part of many of our lives. For some, coffee is life. And, while coffee makers have gotten better and better over the past decade, they’re still not perfect. Spinn, however, is here to offer the next generation of coffee makers. The Spinn coffee maker is aimed at being totally self-contained. In other words, it takes care of all the steps for you — it grinds the beans to the perfect fineness, heats the water, then uses a spinning cylinder, hence the name Spinn, to get the water to go through the beans at the right pressure. It’s a pretty neat concept, and it should make for some great tasting coffee. 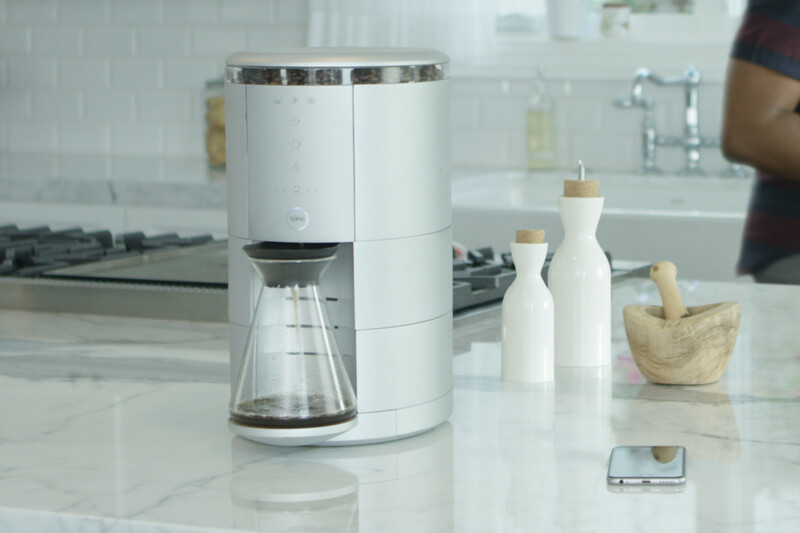 The Spinn coffee maker also connects to your smartphone, and the accompanying app lets you schedule cups of coffee and choose your coffee style, as well as order coffee beans, which can be shipped to your at the tap of a button on the app. That’s something that really sets the Spinn system apart — while smart coffee makers are available, few of them offer a true end-to-end experience like Spinn does. Another major bonus to Spinn is that it doesn’t make a mess. The grounds themselves are completely drained of all water, and then they’re spat out into a waste container, where they can be simply dumped into the bin. Of course, all this sweet technology isn’t ultra-cheap. The most basic model of the coffee maker comes at $499 and ranges up to $999 depending on the features you want. Of course, for a limited time you can get the coffee maker for 40 percent off, bringing the price down to between $299 and $599. To get one for yourself, head to the Spinn website, where you can pre-order one starting today.